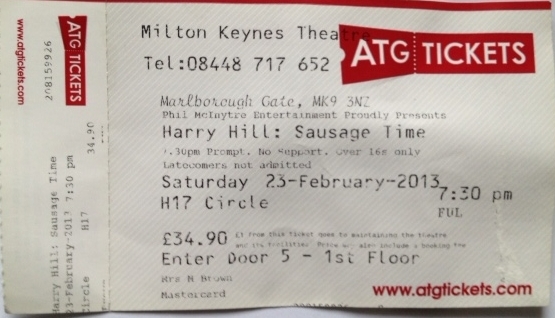 Went to see Harry Hill. Sausage Time tour. Don’t know how to describe this show, funny at times but also quite bizarre.